WHEN I SAW THIS IMAGE at the excellent “Shadows of War” exhibition at the Queen’s Gallery in November 2018, I couldn’t help wondering about the two little boys. Who are they? What are their real names? And, of course, what happened to them once the war was over? Yet there was curiously little information in the caption to the photograph, or in the audio commentary, or in Sophie Gordon’s fine book that accompanies the exhibition. 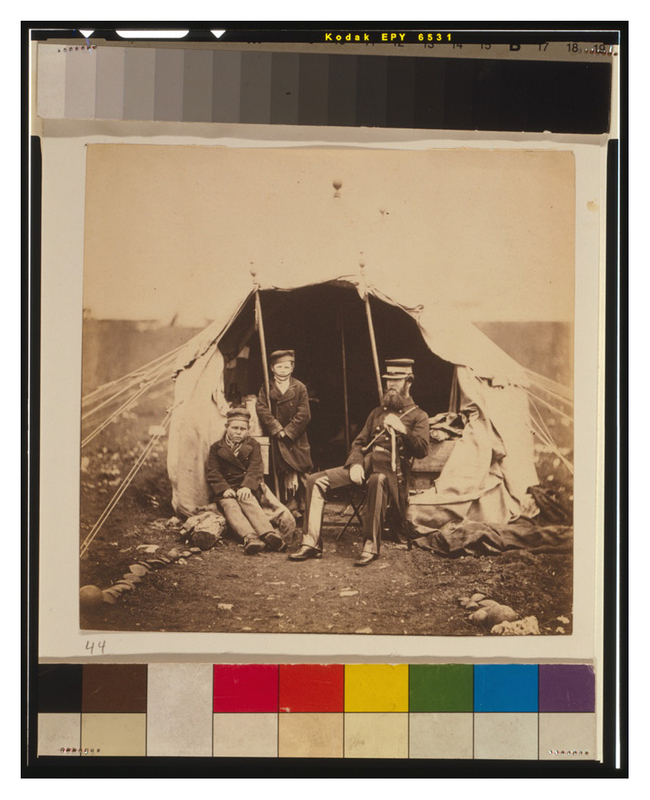 Photograph of Colonel Brownrigg by the entrance to a tent with two young Russian boys called Alma and Inkermann. Colonel Brownrigg, wearing military uniform, sits on a metal chair facing partly left with his left hand resting on a gun. One boy sits on a log and the other stands beside him to the right with his right arm wrapped around a tent pole. I have spent the last couple of weeks trying to find them.